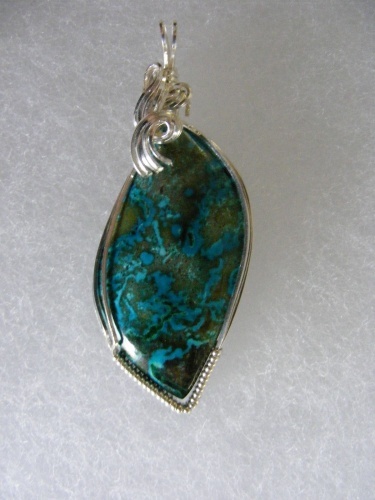 This beautiful chrysocholla pendant is striking with its curls of steling silver topping the stone. Great color for spring and summer or any season. Comes with a sterling silver chain.